What I am going to talk about are things to remember when either working out, or just going about your day. Parents these are also great tips to pass on to your children. Why children you ask? How many of us have ever actually been taught to breathe? Not many, and as kids we still don’t know the affects of shallow breathing and hyper ventilating. Losing our breathe can be very scary as a child. Throughout our day we never really think about breathing, we just do it, and now I’m going to give you a way to focus on a technique that will make you better at breathing! Inhale through the nose and exhale through the mouth. Breathing in through the nose will allow you to take in more oxygen and release more carbon dioxide. A good practice is to inhale for 4 seconds and then hold for a long second. Without getting too technical what you’re doing is allowing oxygen cells to sit at the end of the bronchial tubes in the lungs and fill the alveoli sacs. 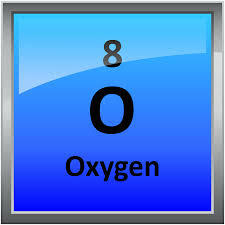 This is where oxygen is able to enter into our bloodstream. This is a great practice if you’re working out and seem to be losing your breathe, a nice long 4 second inhale, a 1 or 2 second pause and then a deep exhale through the mouth. This method will also help metabolize fat, because as we’re working out, fat deposits are broken off and put into the blood stream. The oxidation process is what will actually metabolize fat, so the more you breathe, the more oxygen will be in your system. Then the more fat we will incinerate! To be stronger when lifting any type of weight, always exhale for power. So if you’re doing a push up, breathe out on the way up, if you’re doing a squat, breathe out on the way up, when doing a bicep curl, breathe out on the way up. Whenever you need Power, breathe out! If you’re feeling stressed about something or suffer from anxiety of any kind, try this 4 second method and you’ll soon see that when you focus on your breathe you will have a sense of calm come over you. I mentioned earlier that parents can focus on this with their children. How many times when playing sports at a young age do you watch your kids just run out of breathe because they put in a max effort right away? Often! Or worse when one of your young children decides to throw a tantrum because the older sibling broke their favorite toy and all of sudden a hyper ventilating situation begins. Deep inhales through the nose for 4 seconds with a long 1 or 2 second inhale will cure this! I urge you to try this method right now and practice it throughout your day, because soon, if you practice it enough it will become second nature and you wont need to think about it anymore! Excellent article and great reminder/information for proper breathing. I was having a very stressful day but after reading this and taking some time to breathe all is well. Awesome I’m so glad you enjoyed it! When working out try to synchronize your movement with your breathe and watch how much more weight you’ll be able to lift and how much more endurance you’ll have! I’ve recently taken a couple minutes out of each day to just lay down and breathe like this and it’s helped with my overall stress! Thanks Morgan, that’s great to hear, sometimes its the simple things in life, like relaxing and breathing, that can help us reset and be at our best! !